"Postovanje Aleksandra, obratila sam se ljudima iz ujedinjeni ravnogorski pokret i rekli su mi da se obratim vama ako mozete da mi pomognete. 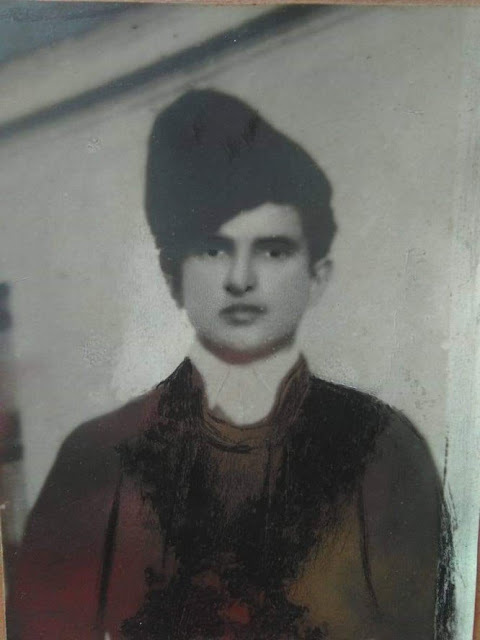 Moj deda Dusan Djuric je bio u cetnicima, i 1945 godine su otisli iz srbije. Znam iz price da su otisli za Bosnu i tu se gubi svaki trag. Posle duzeg vremena se čulo da je u Čikagu i da ima sina po imenu Branko. Pricalo se da je BRANKO 9 marta 1991 bio u beogradu ali nista konacno nije moglo da se sazna. Ja vas molim ako je moguce da nesto saznam jer to mi je velika zelja. "Dusan je rodjen 1928 godine. Selo se zove Uzvece u Macvi, Dusanovo rodno mesto i moje. "Na slici je moj deda Dusan Djuric kad je imao 16 godina. Moje devijacko prezime je Djuric. "Deda je se zvao Dusan al svi su ga zvali Dusko. Vecina ljudi ga je tako znalo. "Ja vas molim ako postoji bilo kakva informacija da mi javite. To mi je zelja najveca. Instead of just commemorating the Holocaust with public gestures, the Croatian Catholic Church should show its commitment to truth by stopping churches from hosting events at which the WWII fascist Ustasha movement’s crimes are downplayed. The monument at the former Jasenovac concentration camp during an official Croatian government commemoration in 2016. Photo: EPA/ANTONIO BAT. Scene 1: A 50-metre-high banner bearing the words “Holocaust Victims Remembrance Day” in both Croatian and Hebrew hangs from the tower of Zagreb’s Catholic Cathedral, a well-known city landmark. At a grand state ceremony on January 24, Zagreb Archbishop Josip Bozanic unveiled the banner to mark International Holocaust Remembrance Day, the day when on January 27, 1945 the Soviet Red Army reached the Auschwitz death camp. The Catholic Church paid for the banner to be made itself. Paying respects to the Jewish victims of World War II, Bozanic read a psalm in Hebrew and said that everyone must remember “the great suffering of the Croatian Jewish community”, noting how the Jewish population of Zagreb plummeted from 11,000 to 2,000 people. While mentioning the killing of six million Jews during the Holocaust across Europe, he emphasised that we “must give special attention” to the fact that part of it took place in Croatia. Besides the Nazi camps, he said we must “highlight the truth about the horrors of Jasenovac” – the biggest WWII concentration camp in Croatia, where Jews were killed. The event was labelled ‘unprecedented’ by media and some members of the Croatian Jewish community, and was praised by politicians and the Simon Wiesenthal Centre, a prominent Jewish human rights organisation. Scene 2: A middle-aged man going by the name of Roman Leljak presents a book and film named ‘The Myth of Jasenovac’ at the Saint Ante Padovan Church in the Croatian coastal town of Sibenik. At the promotional event on February 9, Leljak explained how he wants to tell “the final truth” about the camp, which he argued was not ruthless as it has been described. He also insisted that the wartime Nazi-allied Independent State of Croatia, the NDH, which ran the camp, “gave the Jews a chance to survive”. Roman Leljak presenting his book and film in a church in Sibenik. Photo courtesy of Marko Podrug. If you had fallen from the Moon and witnessed both events, you would have got a strange impression of what happened during the Holocaust in Croatia, and what the Croatian Catholic Church thought about it today. You might think that the Croatian Catholic Church was bravely deconstructing myths, searching for the truth and empathising with Jewish suffering as it mourned the six million Jews killed in Nazi camps far away. You might also think that Nazi Germany established a concentration camp in Jasenovac, but be reassured that the NDH “gave the Jews the chance to survive”. This would make a nice bedtime story if it wasn’t an outright lie. Jasenovac was not founded by Nazi Germany, but by the domestic fascist Ustasa movement, which modelled its puppet state upon Germany, persecuting Serbs, Jews and Roma on ethnic and religious grounds. In the world of historical research, these are the facts and not what Leljak – a self-proclaimed researcher, a former convict and local politician – claims they are. Although the Croatian Church has commemorated the victims of the Holocaust for the first time, receiving a lot of praise for doing so, it was done, almost as always, dishonestly. Claiming you respect Jewish suffering during the Holocaust on January 24, only so you can promote a book on February 9 that claims that this same NDH “gave them a chance to survive”, is nothing less than hypocrisy. 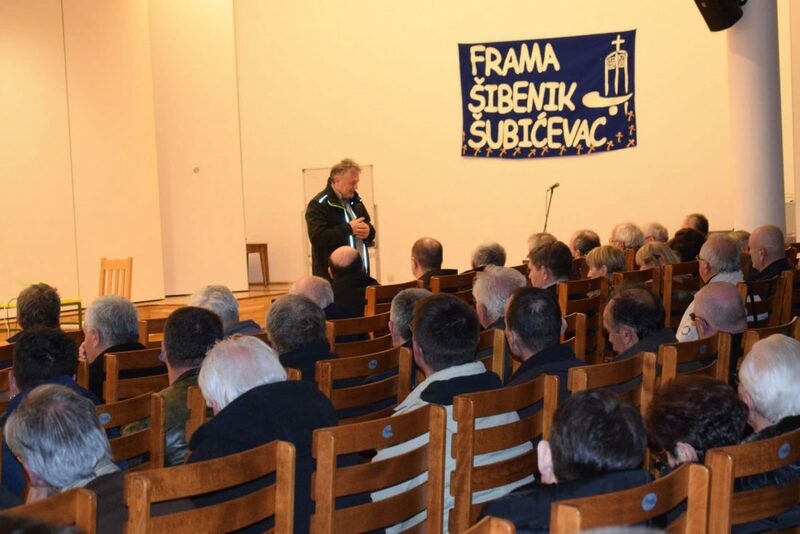 It was even a greater hypocrisy when another church, this time in Zagreb, allowed the holding of a publicity event for a book called ‘The Jasenovac Lie Revealed’ on January 17. At the event, the authors, Josip Pecaric and priest Stjepan Razum – who claims there were no gas chambers in Auschwitz – said that Croats were the biggest victims of Jasenovac and that the official figure of 83,145 [*] deaths is a lie. The list of similar promotions and panels trampling on historically established facts about Jasenovac that have been held under Church auspices goes on and on, dating back years. Therefore, Archbishop Bozanic’s ‘unprecedented’ gesture was nothing less than a publicity stunt, a PR move in which the Holocaust remembrance banner occupied almost the same space on Zagreb Cathedral’s tower that was given over to an advertisement for a Croatian insurance company a few years ago. The Church providing free advertising space for Holocaust remembrance won’t change the fact that it also provides a rent-free office to an obscure NGO called Project Velebit, another platform for far-right history revisionists. The office is only a few dozen metres away from the cathedral. Archbishop Bozanic’s speech also omitted any mention of the Ustasha and NDH, which helped cause “the great suffering of the Croatian Jewish community” and ran the deadliest camp outside direct German control. While some may be impressed by the six million killed Jews that the Croatian cleric mentioned, this is actually a typical case of Holocaust universalisation. As the highest representative of the Croatian Church, Bozanic should have mention the number killed by the Ustasa at Jasenovac, or said how many perished on NDH-controlled territory, and not hidden behind the enormous figure of 6,000,000. This is already a known tactic of nationalists from the Baltic to the Balkans – only speaking about the overall six million, as if the Holocaust happened somewhere else, and was implemented exclusively by Nazi Germany. Furthermore, if Bozanic really wanted to commemorate International Holocaust Remembrance Day properly, he should have mentioned the Serbs and Roma killed by the Ustasa as well. After all, when the UN General Assembly declared January 27 as a remembrance day, it asserted that the Holocaust included the murder of “countless members of other minorities” – in Croatia’s case, Serbs and Roma. Acknowledging Jewish suffering in WWII is nothing new for Croatia’s right (or Europe’s). However, while Croatian President Kolinda Grabar Kitarovic fell to her knees at the Yad Vashem remembrance centre in Jerusalem, she has avoided attending the annual commemoration at Jasenovac. Hiding behind the six million figure and stressing how Ustasha were pressured by the Germans to persecute Jews won’t help the Church exonerate itself. Avoiding admitting the large-scale murders of Serbs – and therefore playing into Serb nationalists’ hands as they try to portray Croats as genocidal – won’t help the Croatian Church in its campaign for canonisation of WWII Archbishop Alojzije Stepinac. Despite the Jews that Stepinac saved. By insisting on mentioning only the crimes committed by Serbs against Croats, the Church is not doing anything to change the nationalist narrative in Croatia either. Avoiding even mentioning that among the victims were the Roma – who are often neglected by everyone, left and right – the Church also participates in another historical injustice against people who have been consigned to the margins of society. 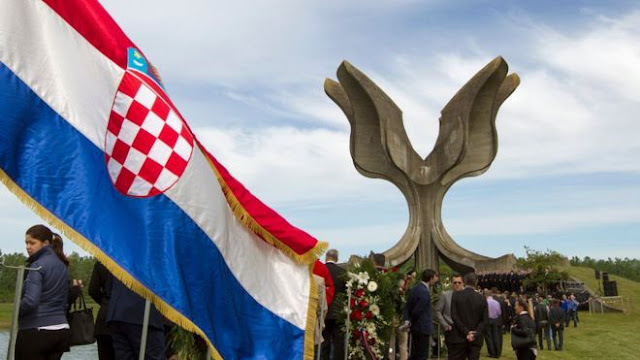 And by failing to appropriately commemorate the victims of the Ustasha regime, at the annual Jasenovac commemoration and elsewhere, the Church meanwhile simply strengthens accusations that it is a bastion of Croatian historical revisionism and Ustasha nostalgia. And no 50-metre banner will hide that. 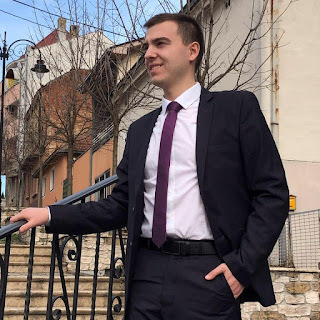 Sven Milekic is a PhD candidate at Maynooth University, funded by the Irish Research Council under the Government of Ireland Postgraduate Programme. [*] Valid estimates of the number of victims killed in Jasenovac by the Croatian Ustasha are far higher than the "83,000" mentioned here! It is estimated that between 700,000 and one million Serbian Orthodox, Jewish, and Gypsy victims were murdered by the Croatian Nazis (Ustashe) during World War Two and the existence of the NDH, the first "Independent State of Croatia". Пројекција документарног филма ''Генерал Дража Михаиловић'' - Биоскоп у Шапцу, понедељак, 15. април 2019, у 18 часова. 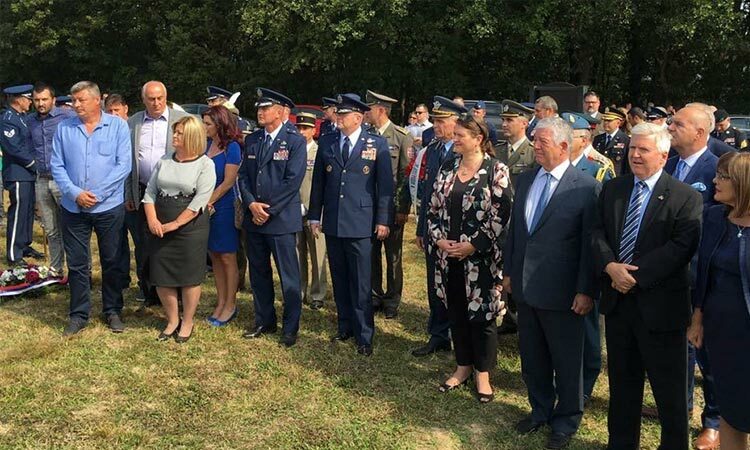 Jewish and Serb organisations have boycotted the official commemoration at the Jasenovac concentration camp since the Croatian Democratic Union government came to power in 2016 - but disrespect for victims of Croatia’s WWII fascist government didn’t start then. For the fourth year in a row, representatives of Croatia’s Jewish and Serbian communities, as well as anti-fascists, will boycott the official commemoration of the victims of the World War II concentration camp at Jasenovac on April 14. 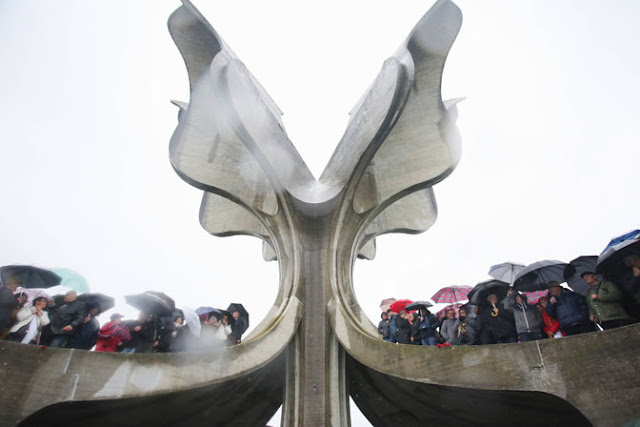 That means there will again be a separate, unofficial and much more well-attended commemoration for more than 83,000[*] Serbs, Roma, Jews and anti-fascists killed at the camp by the Croatian WWII fascist Ustasa movement, which will be held at the site on April 12. 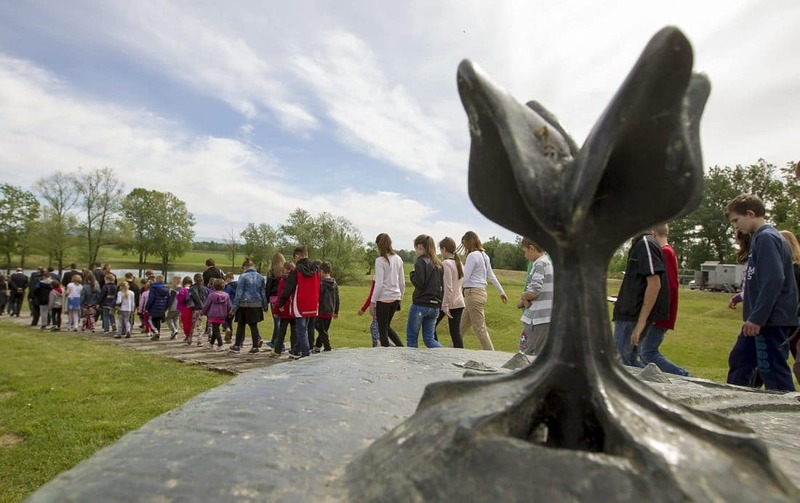 Representatives of the Roma community, Jasenovac’s second biggest victim group, will again attend both commemorations. For the fourth year in a row, we have witnessed the government expressing disappointment that the victim groups won’t be present at the official ceremony. 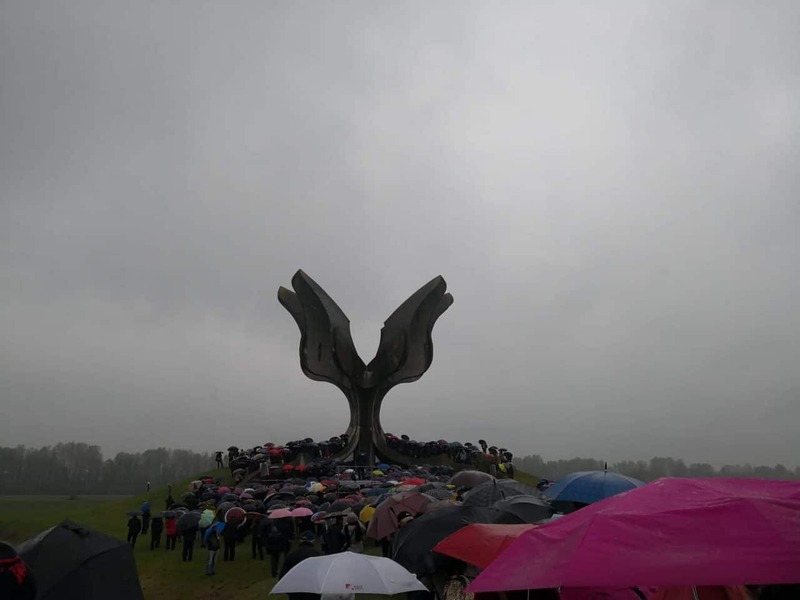 Once more, officials have shamelessly expressed sorrow about how Jasenovac is being used to create divisions in society while the government is doing all it can to respect the memory of the dead. "Naša priča: srpsko-američki odnosi kroz vekove"
Vazdušni most – Operacija „Halijard“: Jedna od najuspešnijih spasilačkih misija iza neprijateljskih linija u istoriji ratovanja. Nacistička Nemačka 1939. napadom na Poljsku otpočela je najraznorniji rat u ljudskoj istoriji. Drugi svetski rat zatekao je Kraljevinu Juoslaviju nespremnu za oružani sukob iscrpljena unutrašnjim problemima. U takvoj konstelaciji, pod sve većim pritiskom Nemaca nakon što su u prvim ratnim godinama okupirali deo Poljske, Čehoslovačke i Francusku, anektirali Austriju i sklopili savezništvo sa svim susedima Jugoslavije, a Italija pod svoj protektorat stavila Albaniju, knez Pavle kao namesnik 25. marta 1941. potpisuje protokol i pristupanju Jugosavije Trojnom paktu. Međutim to se nije dugo održalo, već 27. marta nastupio je puč, knez Pavle je smenjen, kralj Petar Drugi se proglasio punoletnim a general Dušan Simović za predsednika vlade. To je za Nemačku značilo da se Jugoslavija mora poraziti vojno. 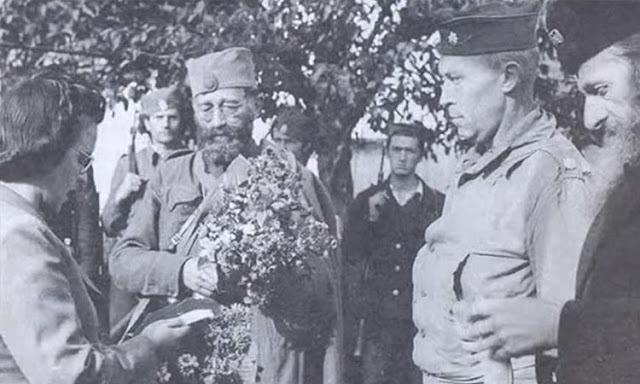 Ubrzo, već 6. aprila Nemačka je otpočela ratne operacije bobmardovanjem prestonice Kraljevine i kopnenom invazijom iz više pravaca. Tzv. „Aprilski rat“ trajao je svega 11 dana, već 17. aprila Kraljevina Jugoslavija je kapitulirala a njena teritorija podeljena između Sila osovine. Međutim samom kapitulacijom države ne prestaje otpor okupatoru. Na okupiranoj teritoriji Jugoslavije formiraju se dva anti-fašistička pokreta. Prvi pokret formiran od pripadnika kraljevske vojske koja je kapitulirala a koji nisu priznavali kapitulaciju. Predvođeni pukovnikom Dragoljubom Mihailovićem vojnici i oficiri koji su izbegli zarobljavanje okupljaju se na visoravni Ravna gora i organizuju gerilski pokret otpora. Ravnogorski pokret zvanično nazvan Jugoslovenska vojska u otadžbini (JVuO) tokom 1944. godine organizovao je i učestvovao u spašavanju više od 500 savezničkih pilota sa okupirane teritorije Jugoslavije. Drugi pokret otpora formiran na tlu Juoslavije bio je Narodnooslobodilački pokret pod vođstvom Josipa Broza. Krajem 1943. godine saveznici počinju sa bombardovanjem ciljeva na Balkanu, pre svega u Rumuniji, Bugarskoj i Jugoslaviji. Suočeni sa jakom nemačkom protivavionskom odbranom mnogi avioni bivaju oboreni a piloti iskaču sa padobranom na leđima na teritoriji okupirane Jugoslavije. Glavni cilj bombardovanja bila su naftna polja u Ploeštiju, u Rumuniji. Od oktobra 1943. do oktobra 1944. godine izvedeno je čak 20 hiljada letova savezničkih aviona iznad Jugoslavije. Angažovano je oko 500 bombardera i 100 lovačkih aviona. Prilikom akcija bombardovanja neminovno je dolazilo do sukoba sa nemačkom avijacijom i protivvazdušnom odbranom, te je sve veći broj aviona rušen, a posade su ostajale duboko iza linija fronta, uglavnom na teritoriji pod kontrolom JVuO. Prvi piloti koji su pali u Srbiju spaseni su 24. januara 1944. od strane Topličkog korpusa JVuO. Avion je prinudno sleteo između dve grupe Bugara, te su četnici izvršili napad kako bi spasili pilote. Svih 9 avijatičara su izvučeni živi i zdravi. U narednom periodu tokom proleća sve više i više pilota spašavano je od ruku Nemaca. Ubrzo, na stotine pilota spasenih od strane četnika Draže Mihailovića čekalo je na evakuaciju iz Jugoslavije. „Naredba generala Mihailovića svim jedinicama, glasila je da se posade aviona moraju spasiti po svaku cenu, bez obzira na žrtve. Naravno, akcije spasavanja su bile praćene obračunima sa nemačkim patrolama otposlatim da uhvate pilote.“ U njihovom skrivanju nemerljivu pomoć pružili su srpski seljaci. Naime odmah nakon spašavanja piloti su zbrinjavani u seljačkim kućama gde su skidali uniforme i oblačili gunjeve i lokalnu nošnju kako bi zavarali svaki trag. U selima su se krili po kućama ali i tavanima i štalama danima i mesecima, dok su domaćini sa njima delili poslednje zalihe hrane koju su imali u kući. 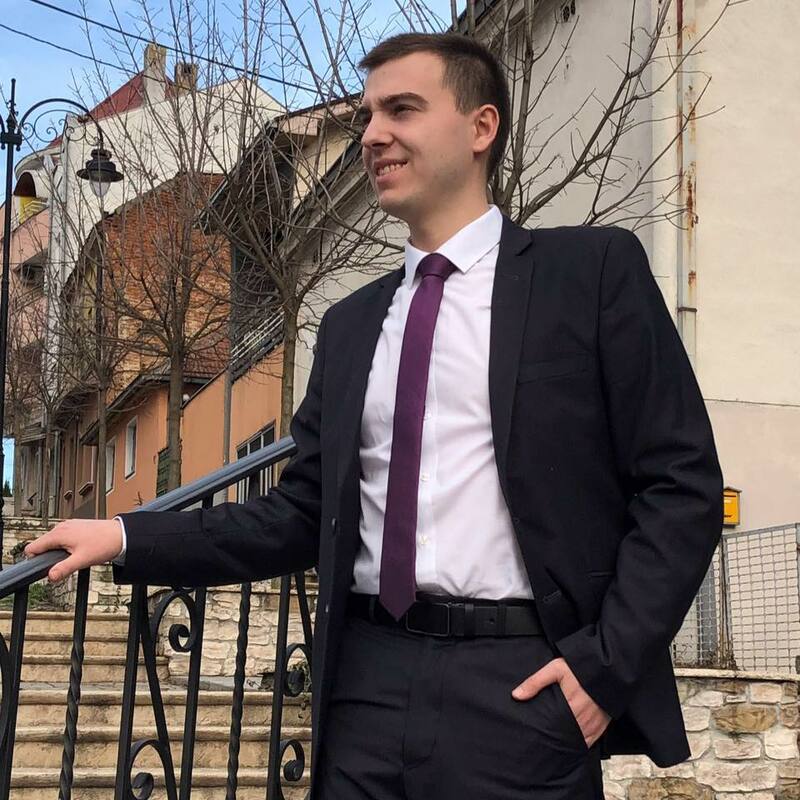 Meštani su sa oduševljenjem prihvatali brigu o pilotima, a takođe se nije desio nijedan slučaj potkazivanja skrivenih pilota okupatoru iako su time rizikovali sopstvene živote i odmazdu Nemaca. Već u rano proleće vojnici JVUO sprovodili su pilote spasene na svim stranama zemlje do teritorije pod kontrolom 1. ravnogorskog korpusa, kako bi ih okupili na jednom mestu i u pogodnom trenutku evakuisali. Ubrzo je postalo jasno da je neophodno napraviti sveobuhvatan plan evakuacije pilota. Stoga je 28. juna 1944. počelo planiranje spasilačke misije pod nazivom „Halijard“ (HALYARD), kako bi se izvršilo evakuisanje svih pilota. Spasilački tim otposlat je po direktnoj Ruzveltovoj naredbi, sa samo jednim zadatkom, uspešna evakuacija avijatičara. U tu svrhu započeti su planovi za izgradnju improvizovanog aerodroma gde bi saveznički avioni mogli da sleću i poleću kako bi evakuisali pilote. Odabrana je lokacija nedaleko od sela Pranjani kod Gornjeg Milanovca. Zaravan poznata pod imenom Galovića brdo prepozanta je kao pogodno mesto za gradnju aerodroma. Ovaj zadatak poveren je rezervnom kapetanu Nikoli Verkiću, inženjeru po zanimanju. Aerodrom je građen uglavnom noću pod velom tajnosti. Improvizovanim sredstvima preko stotinu meštana kopalo je i ravnalo zemljište uz pomoć volovskih zaprega, a na obodima piste postavljene su i zapaljene lomače kako bi osvetlele aerodrom za noćna sletanja. U toku noći, 25. jula, posle nekoliko neuspešnih pokušaja da pronađu Dražine četnike na tlu, prvi saveznički avion nadleteo je aerodrom, ali se nije prizemljio. Iz aviona su se spustila tri padobranca. To su bili kapetan Džordž Musulin, narednik Majkl Rajačić i radio telegrafista Artur Džibilijan, a njihov zadatak je bio da izvrše dalje pripreme i koordiniraju operacijom izvlačenja pilota iz Jugoslavije. Sva trojica znala su srpski jezik i bili jugoslovenskog porekla što je i bio glavni razlog da upravo oni budu ti koji će otići u štab sada generala Mihailovića. Među američkim oficirima koji su rukovodili operacijom „Halijard“ bio je i poručnik Ričard Felman. On je bio jedan od oborenih pilota koji su se vraćali iz Rumunije a pripadnici JVuO ga pronašli i spasli od nemačkog zarobljavanja. Došavši u Pranjane Felman shvata da je aerodrom prekratak za sletanje američkog transportnog aviona C-47. Stoga se pristupilo produžavanju piste kako bi zadovoljila minimum. U tom periodu je napravljen još jedan improvizovani aerodrom i to u Dragačevu. Ovaj aerodrom bio je planiran kao rezervni u slučaju da Nemci otkriju onaj u Pranjanima. Prvi avion za evakuaciju putem radio-veze najavljen za 31. jul u 22 časa. Međutim, prema svedočenju Ričarda L. Felmana koji se u tom trenutku nalazio u Pranjima, aviona nije bilo. Tek nakon 2 sata u daljini se začuo zvuk aviona, međutim general Mihailović nije bio siguran da li se radi o savezničkom avionu za evakuaciju ili možda nemačkom avionu. Stoga je odlučio da se ne rizikuje i ne pale lomače na pisti za navođenje. Oficiri Džibilijan, Musulin, Felman i Rajačić koji su rukovidili operacijom sve vreme su bili zabrinuti da Nemci ne otkriju misiju. Na samo 20 kilometara odatle, u Čačku se nalazio nemački garnizon sa 4500 nemačkih vojnika, a na samo 8 kilometara odatle nalazio se drugi sa 2500 nemaca. General Mihailović obavestio je poručnika Felmana da 8000 pripadnika JVuO čuva prilaz aerodromu organizovani u dva obruča. Sa barikadama na svim putevima koji vode prema aerodromu četnici su imali naređenje da po cenu života u slučaju napada Nemaca moraju čuvati odstupnicu. Poručnik Felman je zahtevao da obiđe četničke linije odbrane ne bi li se uverio u sigurnost više od 200 američkih pilota prisutnih u tom trenutku, a general Mihailović održao je smotru svojih jedinica za američke oficire. Napokon, posle višemesečnih priprema oficiri Felman i Musulin 8. avusta šalju šifrovanu poruku u savezničku vazdušnu bazu u Bariju da je sve spremno za otpočinjanje misije „Halijard“. Prvih šest aviona tipa C-47 koji bi evakuisali 70 američkih pilota će sleteti 9. avgusta u 22 časa na aerodrom pri Galovića brdo. Sve je bilo spremno! Misija je podrazumevala uspostavljanje vazdušnog mosta na relaciji Bari-Pranjani i cilju evakuacije svih savezničkih pilota koje su četnici sa lokalnim meštanima skrivali. U 18 časova popodne Felman krenuo u finalni obilazak piste ne bi li se uverio još jednom da je sve spremno za večerašnje sletanje. Dok je na konju obilazio aerodrom začuo je prolamajuće zvukove avionskih motora. Brzo je skočio sa konja i sakrio se u šumarku. Pogledavši gore spazio je 3 nemačka borbena aviona – kružili su oko piste. Bio je siguran su primetili improvizovani aerodrom. Počeo je da razmišlja o tome da što pre treba javiti komandi u Bariju da je aerodrom kompromitovan. Otišao je nazad do poručnika Musulina ali je već bilo kasno, avioni iz Italije su u tom trenutku već bili poleteli prema Pranjanima. Mihailovićev štab imao je telefonsku vezu u Čačku odakle su dobijali izveštaje o kretanju nemačkog garnizona. Felman je zatražio izveštaj za taj dan i dobio ga je u 21 čas – nikakve aktivnosti nisu primećenje, stanje je normalno. S obzirom da nisu mogli da prekinu misiju, Felman i Musulin odlučiju da ne saopštavaju šta se desilo tog popodneva pilotima koji su čekali evakuaciju. Prvi u redu za evakuaciju bili su oni koji su najduže bili u Jugoslaviji. U 22 sata 4 aviona tipa C-47 pojavili su se iznad Pranjana. Poručnik Musulin držao je u ruci lampu za signaliziranje morzeove azbuke šaljući prema avionu dogovoren signal. Iz aviona je usledio signal i vidu šifrovane poruke koja je bila odgovarajuća. Musulin i Felman su odahnuli, bojali su se nemačkih aviona. Na aerodormu su zapaljene lomače da osvetle pistu i ubrzo su avioni sleteli. Tada su saznali da su dva aviona morala da se vrate nazad zbog kvara na motoru i da nema mesta za svih 70 pilota da se evakuišu tada. Felman je obećao dvadesetčetvorici pilota koji su ostali da će biti evakuisani prvi ujutru, a takođe je poslao i izveštaj komandi u Bari o tome šta je video prilikom inspecije aerodroma. Narednog jutra, oko 7 sati začuo se snažan zvuk gomile aviona koji se približavaju Pranjanima. Bilo je to 6 C-47-ca u pratnji 25 borbenih aviona tipa P-51. Avioni su sletali u intervalima od 5 minuta, ukrcavali pilote i poletali nazad prema Bariju. U roku od dva sata evakuisano je 241 Amerikanac, 6 Britanaca, 4 Francuza, 9 Italijana, 7 Jugoslovena i 12 Rusa. U toku večeri i jutra 9. i 10. avgusta evakuisano je ukupno 289 saveznika. Vazdušni most bio je uspešno uspostavljen iza leđa Nemaca koji nisu ništa primetili. Narednih dana i nedelja četničke jedinice su nastavile da prikupljaju savezničke vojnike i oficire u Pranjima kako bi ih bezbedno evakuisali odatle. Krajem avusta, tačnije 26. i 27. je evakuisano još 58 Amerikanaca i 2 britanska oficira, tada je iz Pranjana odleteo i poručnik Musulin. Ukupan broj vojnika i osoblja spašenih u operaciji „Halijard“ iznosi 432 Amerikanaca i 80 pripadnika savezničkog osoblja. Više od 500 saveznika spašeno je i evakuisano samo sa aerodroma u Pranjanima. Nakon toga četnici se povlače iz Pranjana i prave još dva improvizovana aerodroma za evakuaciju. Prvi je napravljen sredinom septembra kod Koceljeve u Mačvi, odakle je evakuisano 20-ak američkih pilota, nekoliko Italijana i Francuza i još dva američka sanitetska oficira. Nakon toga komanda JVuO prebacuje se u istočnu Bosnu gde u selu Boljanić, blizu Doboja, biva sagrađen i drugi improvizovani aerodrom van Pranjana. Odatle su tokom novembra i decembra 1944. evakuisani poslednji američki piloti i oficiri iz Jugoslavije. Među njima bili su: šef poslednje američke misije pri JVuO – Robert Mek Dauel, kapetan Nik Lalić koji je rukovodio operacijama evakuacije nakon odlaska Musulina, i vezista Artur Džibilijan. Oni su bili poslednji Amerikanci koji su imali kontakt sa generalom Mihailovićem, nakon njihove evakuacije Draža biva napušten od saveznika i gubi se svaki kontakt sa njim. „General Donovan u izveštaju predsedniku Ruzveltu krajem oktobra 1944. navodi da je na području Kraljevine Jugoslavije spaseno 1088 pilota. Od toga, četnici su spasili 561, a partizani 527 oborenih avijatičara.“ Ovaj podatak govori da su oba pokreta otpora u Jugoslaviji pružili nemerljivu podršku saveznicima i doprinos borbi protiv fašizma i nacizma u Evropi. Jugoslavija je ovakvim misijama dokaza svoje prijateljstvo prema Sjedinjenim Državama i udarila temelje buduće saradnje. Spašavanje američkih avijatičara bio je jedan od glavnih razloga posthumnog odlikovanja koje je general i ministar vojni Kraljevine Jugoslavije Dragoljub Mihailović 1948. godine dobio od 33. američkog predsednika Harija Trumana. Legija za zasluge prvog stepena najviše je odlikovanje koje američki predsednik može dodeliti stranom državljaninu, a to je bio način da se SAD zahvale generalu Mihailoviću za iskrenu borbu na strani saveznika. U znak zahvalnosti za iskazanu hrabrost i priznanje njegove uloge u spašavanju savezničkih avijatičara, 1985. američki Kongres je odobrio podizanje spomenika generalu Mihailoviću u Vašingtonu, glavnom gradu Sjedinjenih Država. Republika Srbija i Ambasada SAD svake godine u Pranjanima, na Galovića brdu u znak sećanja na operaciju „Halijard“ organizuju polaganje venaca na 7 spomen-ploča podignutih u čast te misije. Ovakve akcije ostaju upamćene kao večni dokaz o prijateljstvu srpskog i američkog naroda. Upravo na 74. godišnjicu operacije „Halijard“ ambasador SAD u Srbiji, Kajl Skat, pozvao je američke filmske producente da snime film o ovom događju, što bi ovekovečilo najuspešniju spasilačnu misiju iza neprijateljskih linija u istoriji ratovanja i na filmskom platnu. Nama ostaje nada da će se to zaista dogoditi i da će kao rezultat imati jačanje odnosa između naših dveju zemalja i naroda. Miroslav Samardžić, Draža i opšta istorija četničkog pokreta – dvanaesti tom, UNA PRES, Beograd, 2008, str. 7. Đorđe Ristić, Spasavanje savezničkih pilota od strane Jugoslovenske vojske u otadžbini u Drugom svetskom ratu, Univerzitet u Beogradu, Fakultet političkih nauka, Master rad, Beograd, 2018, str. 21. 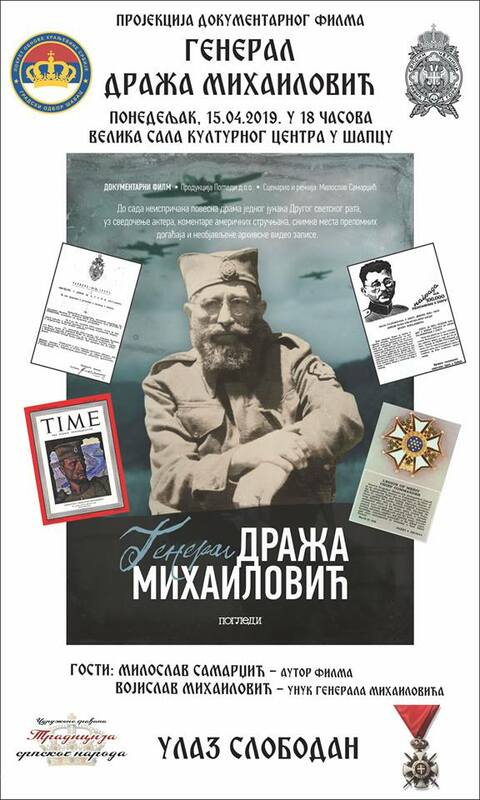 Bojan Dimitrijević, Kosta Nikolić, Đeneral Mihailović – biografija, Institut za savremenu istoriju, Beograd, 2004, str. 425. Zvonimir Vučković, Od otpora – do građanskog rata, druga knjiga SEĆANJA IZ RATA, Izdavačko preduzeće “Čiča“ , Beograd, 1990, str. 108-109. Lt. Com. Richard M. Kelly, USNR, The Halyard Mission, The Story of the Greatest Rescue of American Lives from Behind Enemy Lines in the History of Warfare, Blue Book Magazine, Vol 83, No. 4, August 1946, str. 3. Lt. Com. Richard M. Kelly, USNR, The Halyard Mission, The Story of the Greatest Rescue of American Lives from Behind Enemy Lines in the History of Warfare, Blue Book Magazine, Vol 83, No. 4, August 1946, str. 55-62. Lt. Com. Richard M. Kelly, USNR, The Halyard Mission, The Story of the Greatest Rescue of American Lives from Behind Enemy Lines in the History of Warfare, Blue Book Magazine, Vol 83, No. 4, August 1946 str. 52-62. Zvonimir Vučković, Od otpora – do građanskog rata, druga knjiga SEĆANJA IZ RATA, Izdavačko preduzeće “Čiča“ , Beograd, 1990, str. 158-163. Đorđe Ristić, Spasavanje savezničkih pilota od strane Jugoslovenske vojske u otadžbini u Drugom svetskom ratu, Univerzitet u Beogradu, Fakultet političkih nauka, Master rad, Beograd, 2018, str. 28. 99th Congress, 1st Session, H. R. 77, A Bill to authorize the National Committee of American Airmen Rescued by General Draza Mihailovich in Washington, District of Columbia, In the House of Representatives, January 3, 1985. Miloš Pavković – rođen u Beogradu 1994. godine, student druge godine Zajedničkih interdisciplinarnih master studija Jugoistočne Evrope na Univerzitetu u Gracu, Austrija. Osnovne akademske studije politikologije završio na Fakultetu političkih nauka Univerziteta u Beogradu. Polja interesovanja su mu politički sistemi zemalja regiona, procesi demokratizacije i evropskih integracija zemalja Zapadnog Balkana, post-konfliktno upravljanje i diplomatski odnosi Srbije. Bio je studentski predstavnik u Naučno-nastavnom veću Fakulteta političkih nauka u akademskoj 2015/2016 godini, kao i asistent narodnog poslanika Nataše Vučković 2016-2017. U 2018. uspešno završio program letnje prakse u grupaciji Koka-kola Helenik Srbija i Crna Gora u sektoru prodaje. Autor je i koordinator nekoliko istraživanja javnog mnjenja. Istaknuti je član nekoliko nevladinih organizacija među kojima: Centar za međunarodnu javnu politiku, Studentska unija Fakulteta političkih nauka, kao i Udruženje Kraljevina Srbija gde je trenutno član Izvršnog odbora. Tečno govori engleski jezik, a služi se francuskim i nemačkim.